A reference that describes all of the important syntheses and reactions of oxazoles and oxazolones published through the first quarter of l984. Emphasizes the use of oxazoles as synthetic reagents as well as presenting the more classical treatments of oxazole chemistry. 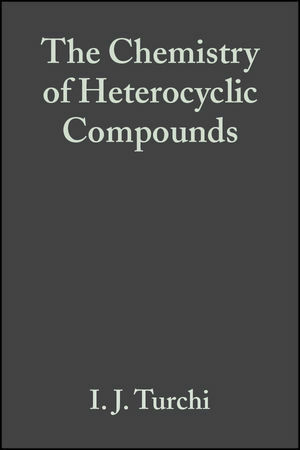 Contains the only extensive list of tables of oxazole derivatives and the most complete list of spectroscopic properties of oxazoles. Offers the most detailed treatment of mesoionic oxazoles including syntheses, specroscopy and reactions. I. J. Turchi is the author of Oxazoles, Volume 45, published by Wiley. Spectroscopic Properties of Oxazoles (C. A. Maryannoff). Oxazolones (Y. S. Rao and R. Filler). Mesoionic Oxazoles (H. L. Gingrich and J. S.
Oxazoles and Oxazolines in Organic Synthesis (B. E.Maryannoff).